I don’t have a lot of requirements for Christmas. I don’t need a lot of presents, and I have no attachment to the food once I get past Thanksgiving. All I need is a tree, and ornaments that mean something to me. You see, I didn’t grow up celebrating Christmas. I was 27 years old and 4 years married the first time I participated in this holiday; the first time I had a tree in my home. My husband and I made our sojourn to Hobby Lobby, buying a small tree and some coordinating ornaments. It was pretty, but it didn’t have any meaning to me, regardless of my beliefs about the holiday. The next year my husband excitedly pulled out the Christmas decorations, and discovered I had no enthusiasm. He was a bit disappointed but didn’t let it phase him. He enjoyed setting everything up, adding lights as well. I helped, but only when prodded. This went on for several years, until something magical happened. 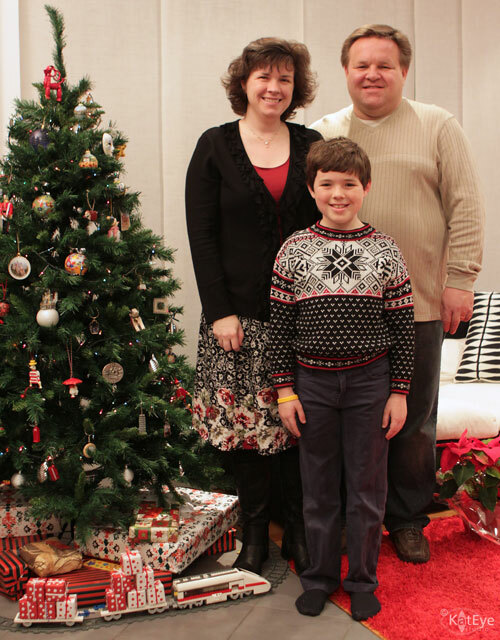 Patrick cajoled me into coming to help set up the tree one year. As we unwrapped the ornaments, I began to see the stories they held. One had been given to us by Patrick’s parents. Another had been purchased on a trip. They were no longer just pretty baubles, they began to have meaning to me. For the first time, I had an excitement about decorating for Christmas. I had an emotional connection, found in the history of the ornaments. I now had a tradition. That tradition has continued, through the years. Our son was born and we added “Baby’s first year” ornaments. My husband completed a bicycle trip down the Oregon coast, and I made him an ornament to commemorate. We’ve picked up ornaments in places we’ve visited or they’ve been given to us as gifts from special people in our lives. 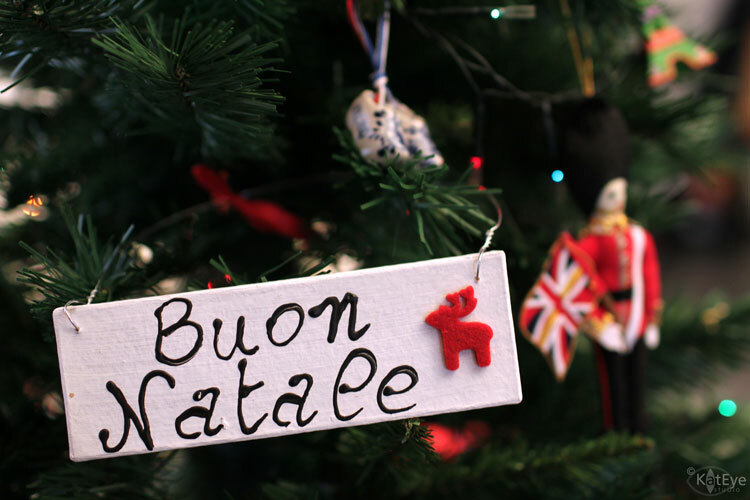 Each one is a memory, something special to be revisited, as we set up the tree and admire them through the month of December. It is now a special family tradition the weekend after Thanksgiving, to turn on the Christmas music and set up the tree together. We carefully unwrap the ornaments, taking a walk down memory lane. My son loves it too. So for me, all Christmas needs is a tree filled with ornaments that carry memories. The perfectly decorated and color coordinated trees can stay in the department stores, in my opinion. They are beautiful, I love to photograph them, but they hold no true meaning for me. Today’s 9 Muses Musing prompt is ORNAMENT. 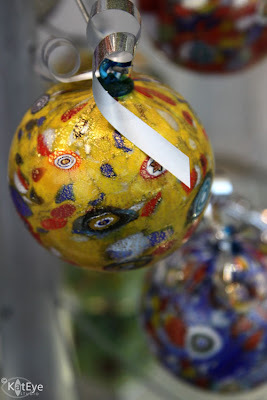 Today is my day to giveaway one of my favorite handmade glass ornaments from Murano. Please come by Mortal Muses and leave a comment or link in to enter the giveaway, I’d love to see it go to one of my faithful readers! These are my absolute, hands down, favorite ornaments in the world. Every time I go to Murano now, I pick one up. Come see more of the story behind them in my Mortal Muses triptych post today.